Jess Tullie has returned from the Nokian Tyres World Orienteering Championship in Estonia with a career best result. The championships were based in Tartu with the British team staying near the town of Ootepää – renound for XC skiing and biathlon in the winter. The forest terrain was expected to be challenging and this proved to be the case with thick summer vegetation proving tough with some athletes likening it to running in a jungle. 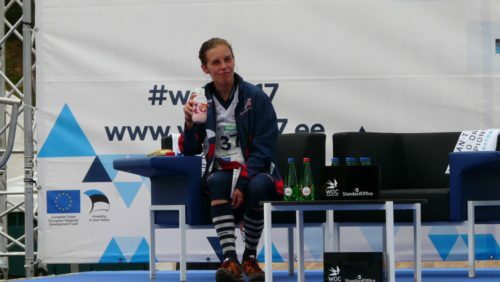 Asked about pre competition goals Jess said “position based goals can be a double-edged sword for any athlete but after a best ever winter of training I had goals of top 20 in both the long and middle distances and a dream of a top 15. Ultimately I wanted to execute a run that I could be happy with both physically and technically.” After a mixed racing season blighted by illness before key races she managed to run strongly at the test races to secure selection for both races – stage 1 complete. Another mixed block followed with some more illness then a late ankle injury. Thankfully she had some good support and managed to make it to the start line fit and healthy. Her first race was the long distance which finished in the town of Rouge with 11.4km of thick forest and marsh to negotiate and a debut at the World Champs over the distance for Jess. Route selection was key with runners taking a wide variety of options. Jess made a steady start losing a little bit of time on route selection but hitting the controls cleanly and pushing well through the tough terrain. 2/3rd of the way round she was caught by a Norwegian runner and they were able to run together for the last third which helped keep the pace high on tiring legs. The end result was a very satisfying 17th place – equalling her best ever position from the middle distance in Darnaway in 2015. 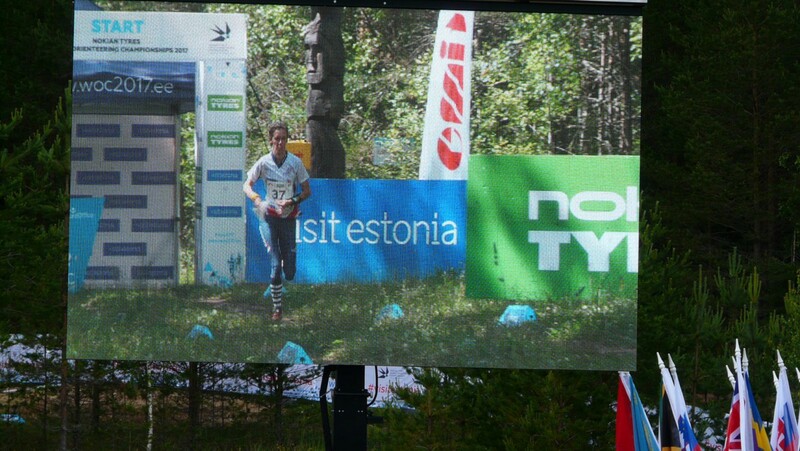 Teammate Hollie Orr also from Scotland gained her best ever WOC position finishing just ahead in 16th. Ralph Street was best of the British men in 18th. 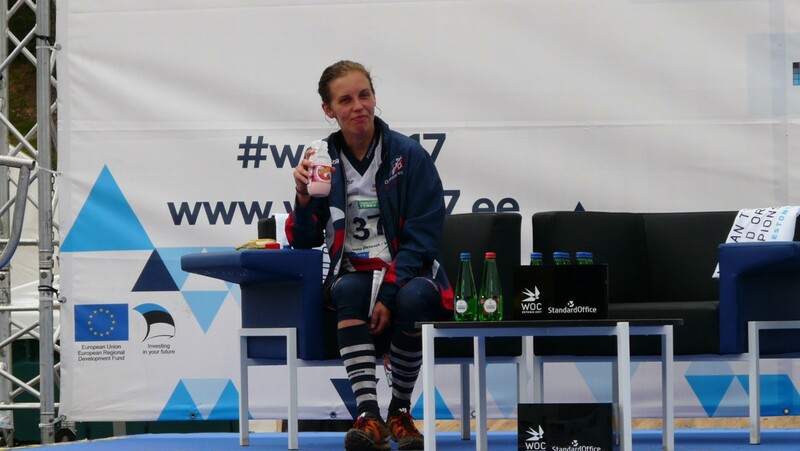 Speaking after the long distance Jess said “I have always had the dream of running in the long distance at the world champs – the original discipline and in some ways still the blue riband event. I expected it to be tough and it was! There are always small things you can do better in a race but over the course of it I am very satisfied and delighted to break the top 20”. Next up for Jess was a rest day followed by the middle distance race in Vitpalu just outside the town of Elva. The forest provided a different challenge with many areas of complex contours with the ever present thick vegetation to add to the difficulty. Starting 37th out of 69 Jess made a good start to the race posting some strong early times and at the arena passage posted the leading time – much to the delight of the British fans who were watching. The second half was even trickier but barring one mistake to the 12th control Jess ran well to finish having increased her lead. She had the fun experience of sitting in the leaders chair for the next 30mins. As expected the later starters arrived and she slipped down a bit with flying Swede Tove Alexandersonn taking the win by a huge 2min margin to add to her gold in the long distance. Jess finished up in 15th position (only the 5th British women ever to make the top 15 in the middle distance) and only 3mins off bronze medal pace. 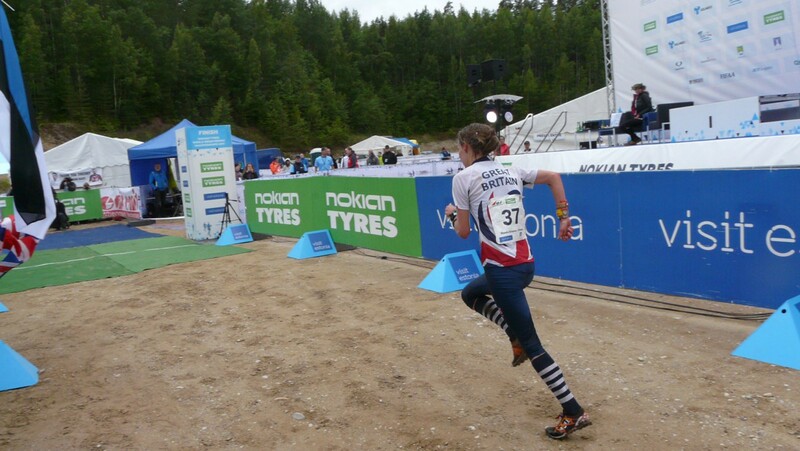 She was joined in the top 20 by Norway based Jo Sheperd of local Inverness orienteering Club who came 18th. Speaking after the race Jess said “I was a little tired after the long distance but I knew that the middle was probably by best chance of the week. I feel this is my best run at a World Champs and I am really pleased with the result. It wasn’t a perfect race but good enough and I am proud to make the top 15”. Well done Jess - BASOC are proud of you! And video of the middle - check out Jess from 10min onwards!